Real estate laws in Arizona are based heavily upon English common law where leasehold properties have been popular for many years. Per the Arizona State Legislature, once a lease is assigned to a lessee, title to the improvements (house or other structures) is divided into two periods of time, present and future interests. Present interest gives the lessee an “estate for years,” granting the direct right to possess and use the land (ARS 32-203.) The future interest is the “reversion” of the property back to the lessor at the end of the lease (ARS 33-204.) Simply put, once a land lease is assigned to a lessee, that individual has absolute rights to the house and use of the land until the end of their lease term. 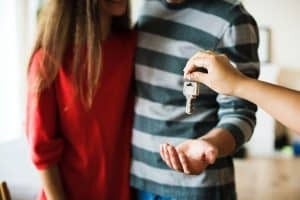 Selling a home in a period of rapidly rising real estate prices can be challenging for certain types of homes, specifically homes that appeal to first time buyers. Often times, buyers are priced out of the market and are unable to buy the type of home they want or in the location that they desire. The benefit of offering your home for sale as a land lease (or leasehold) property is simple; by offering just the house for sale, exclusive of the land, you will open the home up to a much larger buyer pool that would be able to afford the house and land being sold together. Done correctly, sellers list their homes for sale under the FHA financing threshold, making it easy for buyers to get financing and afford their down payment, all while being paid the same full price that was originally being asked of the house and land together. In Metro Phoenix specifically, the median home price has climbed more than 44 percent since 2013, while the median household income has only increased by 12 percent. This means more and more people are unable to afford to live in the areas they would like to. You list your house for sale at $375,000. This price is not FHA eligible and will require a 20% down payment, which limits your buyer pool. By selling the land for $50,000 and creating a land lease, you can re-list just the house for $325,000, which will qualify for FHA financing and will require a much smaller down payment. This will allow far more buyers to be interested in your property because now you are in their price point, and you still get the original $375,000 for your property! Now your house is FHA eligible and you have access to all the buyers who were being priced out of the house before. We offer financial services through a broker.